Rewarding to see a Twitter conversation about Dean Dixon sparked by a thrift shop discovery of him conducting Walter Piston’s Second Symphony on a vinyl LP. 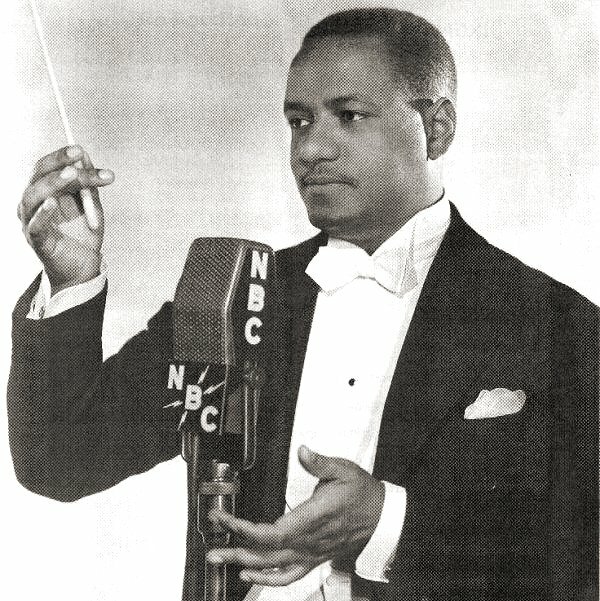 Snatches from the conversation include “Dean Dixon was one of the 20th century’s greatest conductors…Pure genius” – “I can’t think of a single inferior Dixon recording. And mediocre orchestras played divinely for him” – “He was outstanding in American music and classical period repertory (Haydn, Weber and Beethoven)”. “And mediocre orchestras played divinely for him”… how many of today’s lavishly rewarded maestros can that be said for? Coming to that would a thoroughly modern maestro’s management ever put him in front of anything other than an A list orchestra? That is Dean Dixon in the photo above; more on the maestro who mediocre orchestras played divinely for in Dean Dixon – I owe him a huge debt. Header image comes via Sam's database of African American musicians. Any copyrighted material on these pages is included as "fair use", for the purpose of study, review or critical analysis only, and will be removed at the request of copyright owner(s). Also on Facebook and Twitter. Yes, yes, and yes!!! I first heard Dixon in the 60's, but it was quite some years since I had heard his artistry when I came across in the NML a concert performance of Beethoven's Fourth Piano Concerto with Clara Haskil! I was so fascinated by Dixon's masterly accompaniment that I had to listen again at once, this time to concentrate on the wondrous Haskil. He was in all a great conductor and should be given recognition as such.